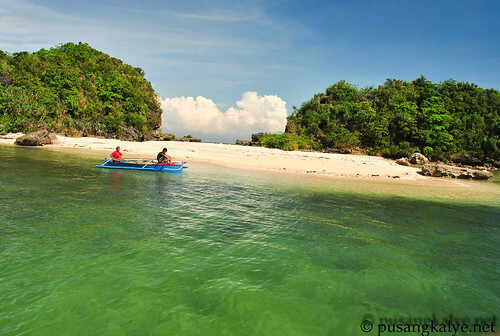 Recognizing the potential of Western Pangasinan as the next growth area for tourism, a group of travel, events and photography bloggers from Manila have decided to set out on a tour which will map out a sample route which travelers can use as a reference. The journey took place on November 20-21 across the municipalities of Alaminos and Bolinao. The idea started with Mica since she is a native of Dagupan. Being a Pangasinense myself, I supported her in this undertaking. 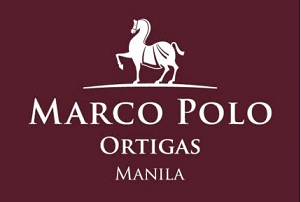 We are now both based in Manila but this is our way of giving back to our hometown. 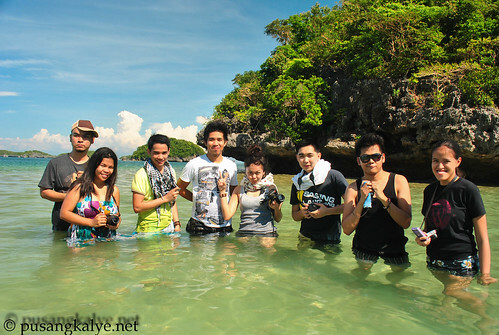 Aside from Josh Uy who is living in Santa Barbara, 7 other bloggers from NCR joined us. Six of the members of the group actually started as early as Friday. They met in Dagupan where Mica waited for them. Checked some restaurants and local delicacies interluding the famous pigar-pigar of Dagupan and Calasiao puto. The 3 of us met them in Alaminos early Saturday. The 10th member, Cai, joined us later in the day as work almost got in the way. The tour officially started in Alaminos City. 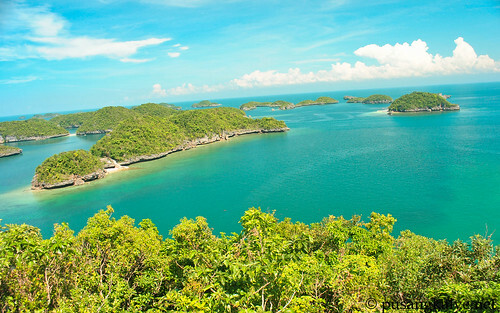 Home of the HUNDRED ISLANDS. We took the 2am bus from Cubao so we got there at around 7am. Travel usually takes 4 hours in the morning but we had a detour so 1 hour was added. When we got to Alaminos, Mica and the others were already waiting for us at ISLANDIA HOTEL where we checked in and ate breakfast before the tour of the 100 Islands. After eating breakfast at ISLANDIA HOTEL, we decided to meet Mr. Rey Livara , the head of the Tourism Office of Alaminos under the office of the mayor for our 100 islands tour. 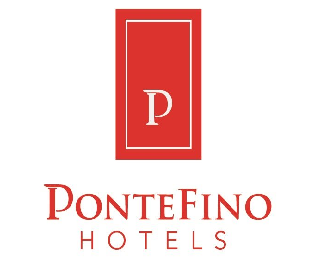 We thought of coordinating with the local tourism board of Alaminos City because we want this as a 2 way learning experience, for our group and for the local tourism board as well. Good thing they are very open to the idea. 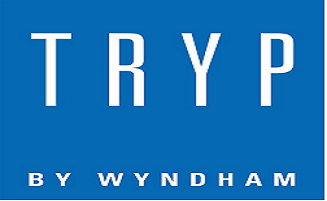 Mr Rey Livara who has been in charge of the agency for 4 years now is very welcoming. He warmly entertained us and even accompanied us in the island hoping tour himself, in most cases taking photos of the group. He is completely different from what we thought of a Tourism officer. He is very funny and relaxed. You could sense that he really enjoys his job as he goes out of his way just to make people feel at home. You can easily notice that when he communicates with the people working in the island. His people have high respect for him. I thought I have had enough of this place, having been here for 3 or 4 times. But last Saturday was different. Aside from the usual Quezon Island stop, we went to Governors Island first. You can take good photos here of the surrounding islands as this is where the highest peak is located. From there, we walked through water to the Virgin Island nearby. I highly suggest you do the same. Just make sure you wear your sandals as some rocks are sharp. Virgin Island--- I highly recommend you do this. It was high tide when we got there but it is still possible to get to the other island without compromising your camera if you have any. Mr Rey Livara was kind enough to go with us and remind us of the deep portions. pusangkalye on the way to Virgin island. 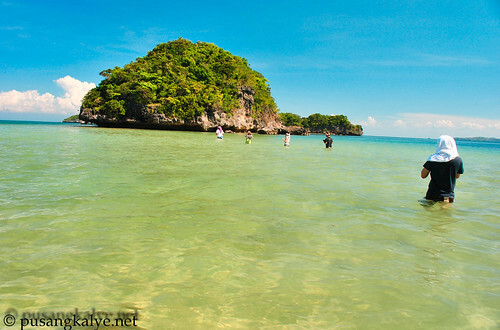 SHELL Island --I have never been here before coz it's not usually part of the itinerary of the tour. But since the Island Hopping tour includes 3 islands of your choice, I would suggest you ask your boat to take you here.It will be worth it. Not so many people go here. We were actually the only group when we got there. It's a good place for snorkeling and taking dramatic photos. This for me is the equivalent of Starfish Island in Honda Bay where I took countless photos because of the beauty of the place. If I may add, there is a lagoon in the middle of the island which adds beauty to it. I will be sharing more photos of Shell Island in my next posts so be sure to look for the separate entry. 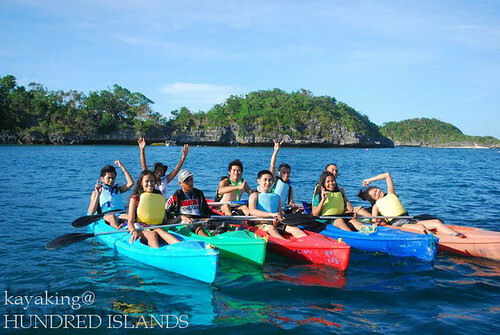 Kayaking and Snorkeling @ Hundred Islands. 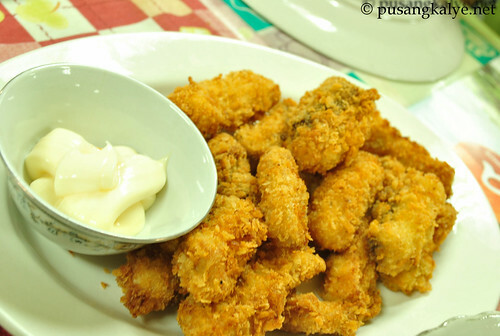 Pusangkalye also recommends this. 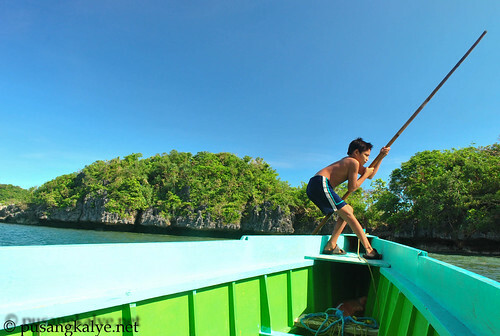 Your tour of the Hundred islands will not be complete without it. We kayaked from Quezon Island to the nearby Imelda Island where there is an underwater cave.We stayed inside the mouth of the cave and did snorkeling. 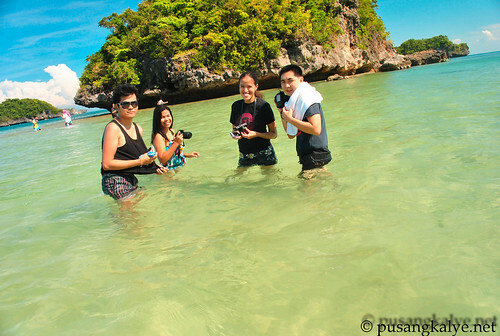 Too bad we left our camera in Quezon Island because it really is a beautiful place. We were on the kayak so so we cant afford to bring any gadget. 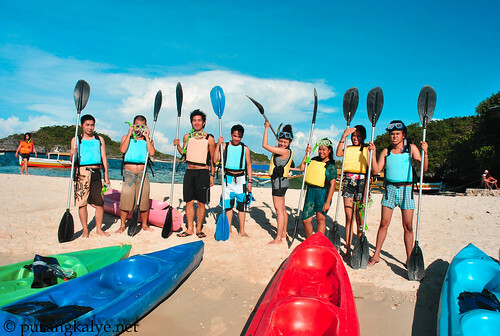 Kayaking is such a fun activity especially if you are surrounded by beautiful white sand islands. We then moved to another spot where the giant clams are. Of coarse you can appreciate them more when you snorkel. I heard that these giant clams are the result of years of hard work of UP's research institute in Bolinao.They add beauty to the seabed and gives a distinct feel. After all, you don't get to see giant clams in many places. 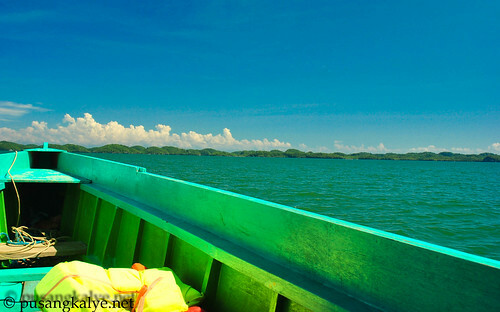 Hundred Islands National Park is one of those few places. What better way to end the day than with good food. 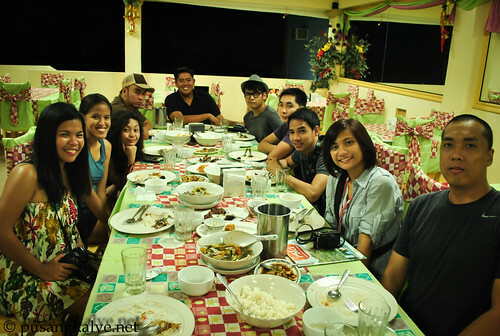 Good thing ISLAND TROPIC Hotel and Restaurant located in Lucap was generous enough to give us a sumptuous meal. Everybody was already tired but we were very noisy during dinner. The cool wind blowing from the sea adds to the delicious taste of the food. 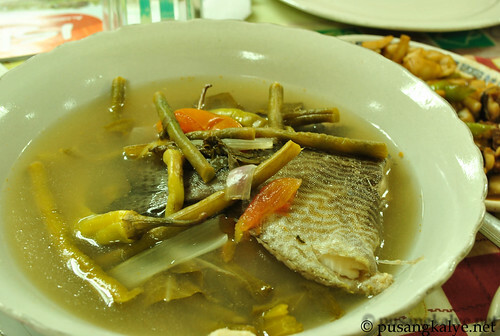 When here, make sure to try their Sinigang na Malaga, it's one of their signature dishes. It was a full packed 1st day of our Western Pangasinan Tour. We went back to Islandia Hotel downtown to retire. We need all the energy we can get as we had more in store for us in Bolinao on the 2nd day. The Alaminos leg of the tour was successful. 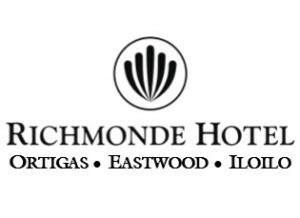 Thanks to the help of Sir Klydz of Islandia Hotel, Mr Rey Livara and Ms. Von of the Tourism office and of coarse, the management of Island Tropics Hotel. It might not be my first to be here but the experience for me was not short of excitement. I really felt like I am in a new place with new experiences. maybe it has to do with the group as well.It's my first time to travel with these bloggers, different people of different personalities but we all complimented each other. It's so fun to be with them and roughly 24 hours since we bid goodbye from Bolinao, I already miss them. Can't wait for the next adventure with you guys!!! To my readers, I hope you follow this WESTERN PANGASINAN SERIES. More to explore in this part of Luzon. 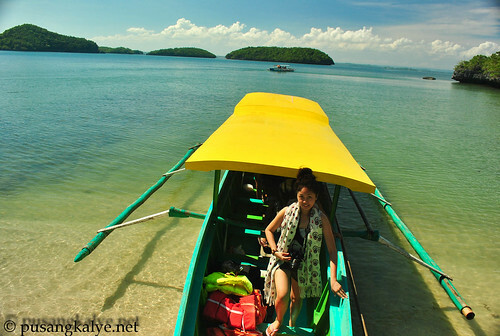 As early as this first post, I can already say that Western Pangasinan will be the next big tourism destination. 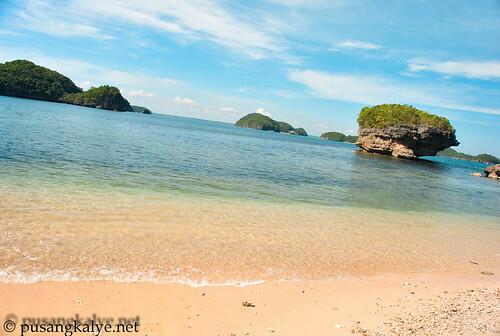 Alaminos and the Hundred Islands is a place you shouldn't miss!!! take bus from Manila ( Cubao ) --directly to Alaminos, although buses bound Anda, Agno and Bolinao also pass through Alaminos. take the tricycle from downtown to Lucap. 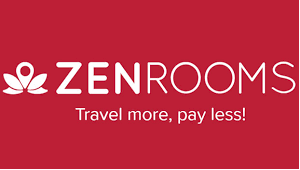 Once you register with the Local Tourism office, you are set for the island hoping experience. ikaw na ang mayaman at may pang out of town. lol. 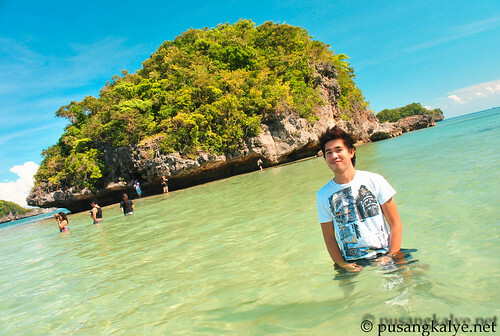 Can't wait for your Bolinao post, although alam ko lalaitin mo na naman ang hometown ko! ikaw na ang gumagala.. ikaw na sikat hehee..
Ang saya naman. Naalala ko tuloy ang kainusentehan ko nung unang punta ko sa Hundred Isalands nung bata ako. Haha.  Masarap nga magtour ng ganito lalo na kung kasama mo eh kaibigan. :) Like! 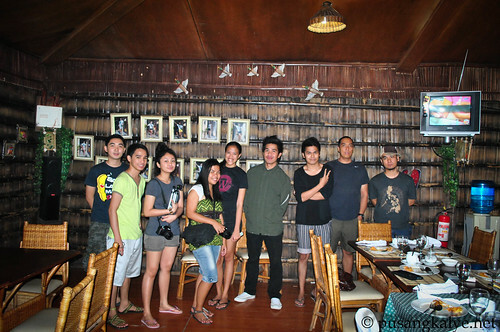 Pinoy AdvenTurista--thanks mervin-san ka naman nagsuot last weekend? Ako si Yow ---tagal na nun? 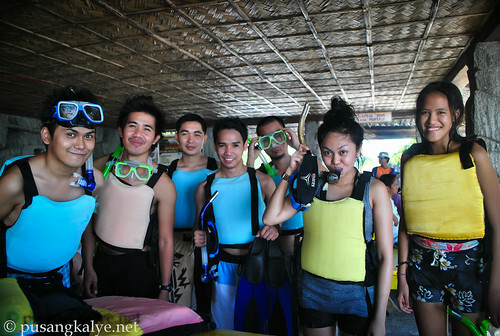 go back and try the activities like kayaking ang snorkeling. 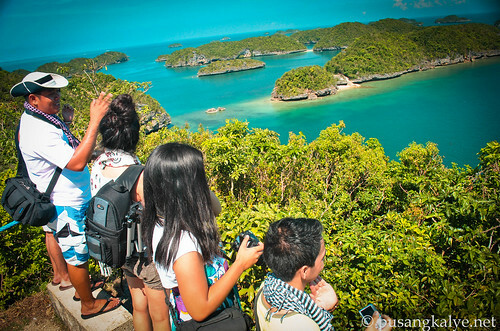 mas maeenjoy mo ang hundred islands. MOKS™---so this year lang pala. nice. summer. hope you enjoyed it. Ang cute ko talaga sa mga shots hahahaha!! Hindi yata namin napuntahan yung Starfish Island sa Palawan hmmm. Ada ---ay uo nga pala. naalala ko nga yung sandwiches---dapat kayo 2 ni Robbie magbibigay eh. naghanda ba talaga ku? lol. Hi Anton! Nice to have met you at SBC earlier! I have been to Anda naman because a friend owns a cottage there..super nice!